A doctor who once worked as a pharmacist for Dh500 per month is today a multi-millionaire Dubai businessman. 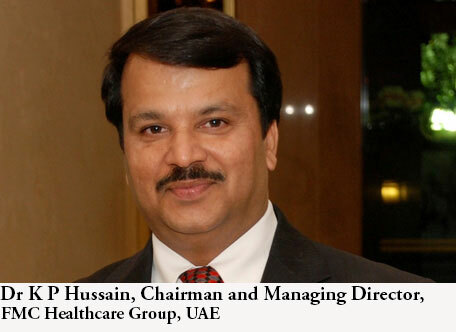 After 27 years in the UAE, Dr K P Hussain, Chairman and Managing Director, FMC Healthcare Group UAE, manages a healthcare group that provides group health insurance to 300,000 people in the UAE. “When I came here around 27 years ago, I had many dreams. “Initially even finding a decent job was difficult as doctors needed not only an MBBS degree, but higher qualifications. “While working as a pharmacist I realised that medicine prices were high and many ordinary patients could not afford those medicines,” he recollects. “I continued to look for a decent job. With just Dh10 in my pocket, I used to go from Deira to the Satwa Defence Colony. “I would spend 25fils to cross the abra, Dh2to call a taxi and waited patiently for hours every day till I got a chance to enter the defence colony after 10 days for a medic’s job — an assistant for patients who are brought to the hospitals,” Dr Hussain, now Chairman of the Fathima Group of Hospitals told Emirates 24|7. “The doctor who was conducting the interview discouraged me from joining as a mere medic and advised me to wait for better opportunities, but getting a job was like a life and death problem for me,” he said. “The salary of a medic in the defence department was about Dh3000-plus, which was far above Dh500 for my pharmacist’s job,” he said, adding that in depression and desperation he thought of going back to resume his practice in Madurai, Tamil Nadu. Even though I came here in 1990, I had to struggle until the end of 1990s, till I set up my own private clinic, which later grew to become the Fathima Medical Group. In 1997, he started his own private clinic in Naif Road Deira, Dubai with Dr Aby Thomas, a cardiologist. “We were the first in the private sector to bring a specialised cardiologist to Deira. Our cardiology section was doing very well and we had at least five ambulance calls per day,” he recalls. “I have also helped many other doctors who wanted to start their own clinics because there was huge demand for healthcare facilities. “I would go with them to the authorities, help them get licences and I did not fear competition from them because my clinic alone could not provide all the required services,” Dr Hussain said, adding that he used to conduct Continued Medical Education (CME) sessions in which 100 to 150 doctors participated. “In the cardiology section, many patients could not afford the medicine prices. Many of my patients have died because they could not buy the medicine. The initiative by the UAE Government to bring down medicine prices and to bring compulsory medical insurance is a great humanitarian gesture,” he says. Many clinics, private companies and insurance companies joined the Fathima Healthcare Network (FMC Network) and by 2006, about 60,000 workers came under the group insurance scheme. “I have visited about 62 countries and I could not see any other governments giving such business-friendly policies and opportunities to every community living here. “This country has given me so much positivity and respect. “If I did not take up the challenges and opportunities my business would have been confined to a small clinic,” says Dr Hussain, who has eased the pain of many a patient and poor person through charity work.